NRG were excited to unleash some of our newer skaters on the world with a fantastic warm up intraleague match, the Christmas Crack Hers vs. the Slay Belles, & they didn’t disappoint. 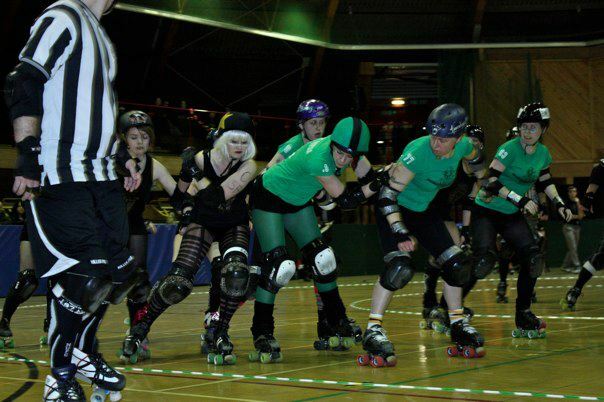 A final score of Slay Belles 53 – 70 Christmas Crack Hers really got the Canny Belters in the mood. 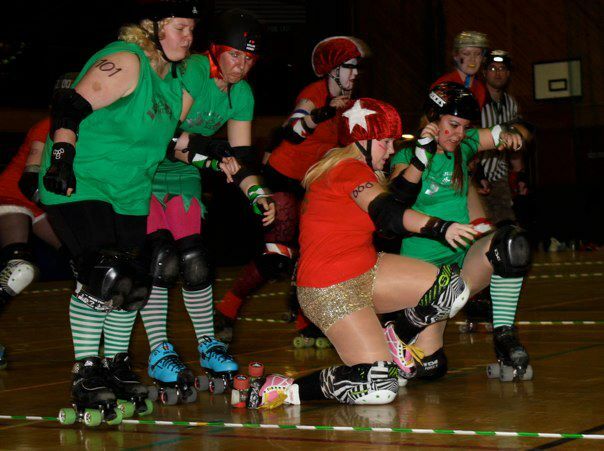 The main event was always going to be an interesting match up, as the Cannon Belles were the first team that NRG ever played back in April 2010! NRG narrowly lost that match by 10 points. In the 18 months since, NRG showed just how far we have come by taking the win this time, final score of 118-87 – victorious in our final home game of the year. While Zebras Watched Our Blocks, by eye sprocket on Vimeo. NRG Canny Belters vs AARG Cannon Belles, by spaceboyg on YouTube. Canny Belters v Cannon Belles, by Idene on Facebook. Slay Belles v Christmas Crack Hers, also by Idene on Facebook. NRG would like to thank all of our fans who came to watch the match and have supported us throughout 2011; we genuinely couldn’t do it without you. Previous PostJuicy Lucy helps Team England take third place at World CupNext PostWhile Zebras Watch Our Blocks Blow by Blow!